Back in 2012, we met Wreck-It Ralph, the Donkey Kong-esque villain in a video game. Ralph and his fellow pixelized pal Vanellope Von Schweetz return for more adventures in 2018’s Ralphs Breaks the Internet. 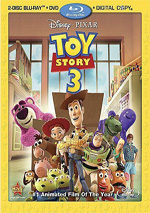 In the first film, Ralph (voiced by John C. Reilly) and Vanellope (Sarah Silverman) managed to develop lives beyond the strict roles their arcade games prescribed and became friends in the bargain. Years later, they go through a regular routine, one that suits Ralph just fine, but Vanellope feels less satisfied. If one wonders why it took six years for Disney to produce a sequel to Wreck-It, I suspect the 2012 flick’s box office offers an explanation. With a budget of $165 million, the movie made $471 million worldwide, a figure that might’ve allowed for a small profit but not much. Given inflation, Breaks fared just about the same. It came with a slightly larger budget and it earned a wee bit more money, but in the end, I suspect it’s a wash.
And those moments generate amusement, even if there’s a bit of a been-there, done-that to it. While Breaks brings a higher quality effort than 2017’s Emoji Movie, the latter featured a lot of the same sort of material, so Breaks can feel like it rehashes these notions. Every once in a while, Breaks springs to life, especially with a sequence in which Vanellope meets the Disney Princesses. Clever and self-mocking, this segment offers easily the strongest part of the movie, and I love that all the living actors reprise their roles. Kelly Macdonald's update on her Brave character becomes the funniest bit in the flick. 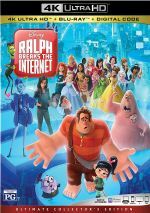 Ralph Breaks the Internet appears in an aspect ratio of approximately 2.39:1 on this Blu-ray Disc. As expected, the movie delivered excellent visuals. Colors excelled. Given all the imaginative situations, the film boasted a broad, lively palette, and the hues came across with great vivacity. Blacks appeared dark and deep, and shadows seemed smooth and concise. Everything about the image satisfied. I also felt pleased with the film’s DTS-HD MA 7.1 soundtrack. Parts of the audio stayed with general sense of the various situations, but more than a few action scenes resulted. Despite the movie’s high profile, the Blu-ray comes without a ton of extras. Surfing for Easter Eggs runs three minutes, 36 seconds and reveals some of the many hidden Disney references in the movie. It’s incomplete but fun. 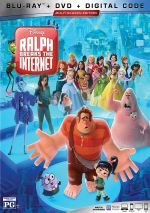 With a wide array of potentially imaginative situations, Ralph Breaks the Internet occasionally springs to life. However, the movie lacks a lot of inspiration, so it winds up as an enjoyable but unremarkable effort. The Blu-ray brings excellent visuals as well as very good audio and a decent array of bonus materials. Like the first film, Breaks becomes a “B”-level Disney flick.